Embroidery is the art or handicraft of decorating fabric or other materials with needle and thread or yarn. Embroidery may also incorporate other materials such as metal strips, pearls, beads, quills, and sequins. A characteristic of embroidery is that the basic techniques or stitches of the earliest work—chain stitch, buttonhole or blanket stitch, running stitch, satin stitch, cross stitch—remain the fundamental techniques of hand embroidery today. Machine embroidery, arising in the early stages of the Industrial Revolution, mimics hand embroidery, especially in the use of chain stitches, but the "satin stitch" and hemming stitches of machine work rely on the use of multiple threads and resemble hand work in their appearance, not their construction. It is a striking fact that in the development of embroidery ... there are no changes of materials or techniques which can be felt or interpreted as advances from a primitive to a later, more refined stage. On the other hand, we often find in early works a technical accomplishment and high standard of craftsmanship rarely attained in later times. Embroidery was a very important art in the Medieval Islam World, one of the most interesting accounts of embroidery were given by the 17th century Turkish traveler Evliya Çelebi called it the "craft of the two hands". Because embroidery was a sign of high social status in Muslim societies it became a hugely popular the art. In cities such as Damascus, Cairo and Istanbul, embroidery was visible on handkerchiefs, uniforms, flags, calligraphy, shoes, robes, tunics, horse trappings, slippers, sheaths, pouches, covers and even on leather belts. 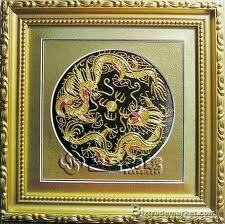 Many craftsmen embroidered with gold and silver. And each of these embroidery cottage industries employed over 800 people. Elaborately embroidered clothing, religious objects, and household items have been a mark of wealth and status in many cultures including ancient Persia, India, China, Japan, Byzantium, and medieval and Baroque Europe. Traditional folk techniques are passed from generation to generation in cultures as diverse as northern Vietnam, Mexico, and eastern Europe. Professional workshops and guilds arose in medievalEngland. The output of these workshops, called Opus Anglicanum or "English work," was famous throughout Europe. The manufacture of machine-made embroideries in St. Gallen in eastern Switzerland flourished in the latter half of the 19th century. Embroidery can be classified according to whether the design is stitched on top of or through the foundation fabric, and by the relationship of stitch placement to the fabric. In free embroidery, designs are applied without regard to the weave of the underlying fabric. Examples include crewel and traditional Chinese and Japanese embroidery. Counted-thread embroidery patterns are created by making stitches over a predetermined number of threads in the foundation fabric. Counted-thread embroidery is more easily worked on an even-weave foundation fabric such as embroidery canvas, aida cloth, or specially woven cotton and linen fabrics although non-evenweave linen is used as well. Examples include needlepoint and some forms of blackwork embroidery. In canvas work threads are stitched through a fabric mesh to create a dense pattern that completely covers the foundation fabric. Traditional canvas work such as bargello is a counted-thread technique.Since the 19th century, printed and hand painted canvases where the painted or printed image serves as color-guide have eliminated the need for counting threads. These are particularly suited to pictorial rather than geometric designs deriving from the Berlin wool work craze of the early 19th century. In drawn thread work and cutwork, the foundation fabric is deformed or cut away to create holes that are then embellished with embroidery, often with thread in the same color as the foundation fabric. These techniques are the progenitors of needlelace. When created in white thread on white linen or cotton, this work is collectively referred to as white work. The fabrics and yarns used in traditional embroidery vary from place to place. Wool, linen, and silkhave been in use for thousands of years for both fabric and yarn. Today, embroidery thread is manufactured in cotton, rayon, and novelty yarns as well as in traditional wool, linen, and silk. Ribbon embroidery uses narrow ribbon in silk or silk/organza blend ribbon, most commonly to create floral motifs. Surface embroidery techniques such as chain stitch and couching or laid-work are the most economical of expensive yarns; couching is generally used for goldwork. Canvas work techniques, in which large amounts of yarn are buried on the back of the work, use more materials but provide a sturdier and more substantial finished textile. In both canvas work and surface embroidery an embroidery hoop or frame can be used to stretch the material and ensure even stitching tension that prevents pattern distortion. Modern canvas work tends to follow very symmetrical counted stitching patterns with designs developing from repetition of one or only a few similar stitches in a variety of thread hues. Many forms of surface embroidery, by contrast, are distinguished by a wide range of different stitching patterns used in a single piece of work. Much contemporary embroidery is stitched with a computerized embroidery machine using patterns "digitized" with embroidery software. In machine embroidery, different types of "fills" add texture and design to the finished work. Machine embroidery is used to add logos and monograms to business shirts or jackets, gifts, and team apparel as well as to decorate household linens, draperies, and decorator fabrics that mimic the elaborate hand embroidery of the past.